State Representative Dan Swanson joined colleagues on both sides of the aisle, in both chambers, in voting YES on an FY 19 State Budget that is balanced and relies on “no new taxes”. “This is a budget built on compromise. 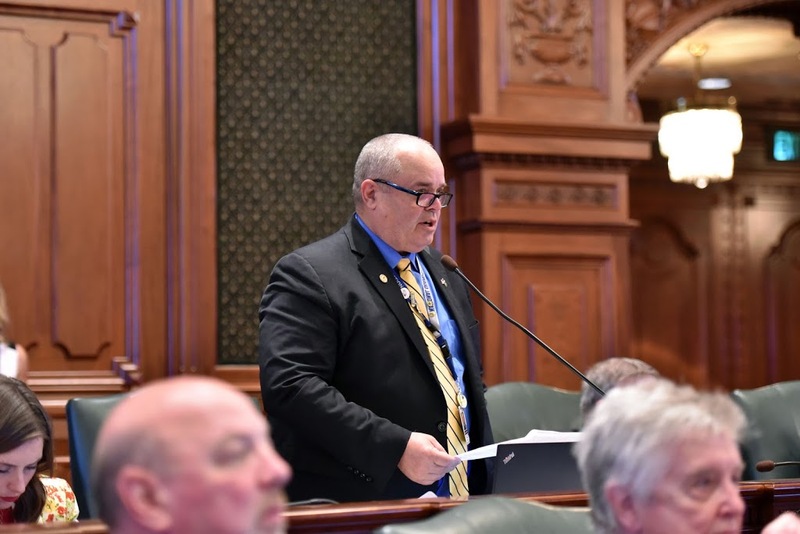 It does not include everything we wanted, but funds many of our priorities and provides critical stability to State Government operations,” said Rep. Swanson. The FY 19 State Budget includes first year costs to begin the process of constructing a new Quincy Veterans Home, creates funding for State Police for a 100-person cadet class, fully funds the new bipartisan K-12 education funding formula while reducing reliance on local property taxes, and includes more than $400 million for the Department of Corrections unpaid vendor bills from FY 17 and FY 18. “The House Republicans pushed for three goals in this budget: a balanced budget, a full-year budget, and no tax increases. I am pleased this was a bipartisan agreement that met those goals,” continued Rep. Swanson.